What’s the Point of Playing Penny Slots? Pay Attention to House Edge When Playing Penny Slots! Win at the best penny slot machines with the best odds! Learn to recognise the best penny slots or pick the best penny slots online and play with bonuses! Penny slots are a bizarre pastime for slot players, and not for the reasons you may think. The only difference between penny slots and regular slots is the penny part, since penny slots allow you to bet the smallest currency denomination possible. Especially popular in US casinos, the best penny Slot machines usually lure the most frugal of casino gamblers. While you do have the opportunity to bet as little as one cent on these games, usually players end up playing for more than just a penny. Since the best practices for Slots, in terms of boosting your own odds at least, involve betting on all possible paylines, most players end up paying a lot more than a cent per spin. Therein lies the question: what is the point of playing for cheap jackpots if the cost per spin isn’t that low? Depending on the type of video Slot player you are you’re probably wondering: why even bother playing penny Slots online for (literally) ‘pennies’ when you can play for six figure progressive jackpots? What attract most penny Slot players is the idea that the lower stakes allow you play for a longer amount of time, and that the longer you play they higher the chances of hitting the jackpot. Unfortunately this way of thinking is completely flawed. Random number generators don’t go through a predetermined list of combinations, but come of with them from scratch over and over again. In fact, the longer you play, the less likely you are to walk away with more than you came with. This is because of the way RNGs apply house edge, which we’ll explain next. A Slot machine's payout percentage, otherwise known as the return to player rate (RTP), is actually lower on penny Slot machines compared to standard Slots. 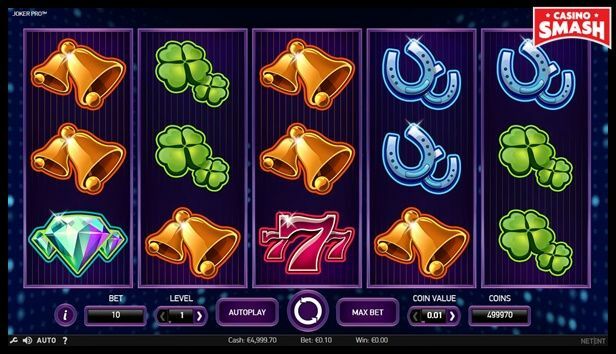 The legal requirement for Slots in general is that they have a payout percentage of 75%. And while most online Slots and machine versions in brick and mortar casinos have between 90% and 95% as the payout percentage, penny Slots tend to have an RTP below 80%, making them more difficult to win. 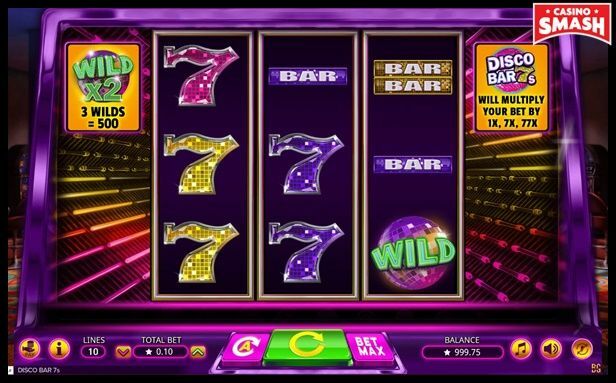 The casino leverages out the low stakes on penny Slot machines with higher house edge, but as long as you are aware of this disadvantage and act accordingly, there is still some decent amount of money to be won by playing these budget Slots. And now you can also play penny Slots online! Playing Slots online is increasingly popular thanks to how convenient it is to play from home and the increasing supply of great online casinos. While it’s easy enough to find high stakes casino games, since they are usually the most well promoted, if you’re on a budget and want to play penny Slot machines from the comfort of your couch, it can be a little tricky if you don’t know what to look for. Penny Slot are not too tough to find online, and to play them you can usually find a section on the casino site labelled "Penny Slots", which will only include online Slots with the option to pay a cent per payline. Some casinos don’t bother making an entire section for penny Slots, but what you can do is test out different games in demo modes and check the minimum bet before paying any of your own money. It may seem a little tedious, but there are plenty of video Slots that do and you’ll find one in no time. The only thing cheaper than playing penny Slots at one cent per spin, is playing them for absolutely nothing. And with some of these no deposit casino bonus, you can do exactly that! 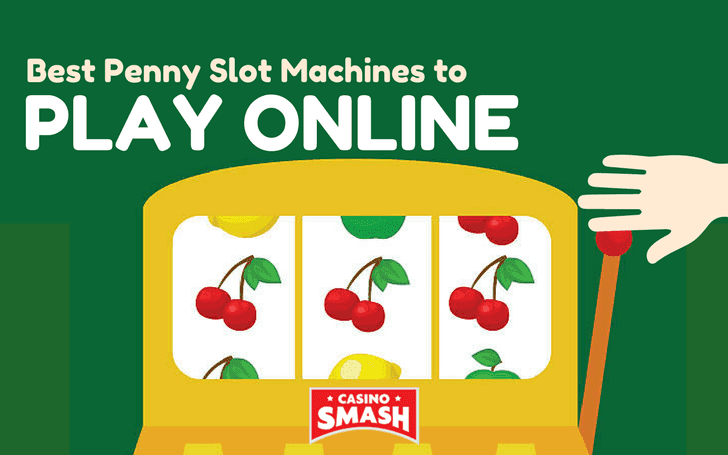 Check out this list of our top 10 penny Slots to play online for free and for real money! 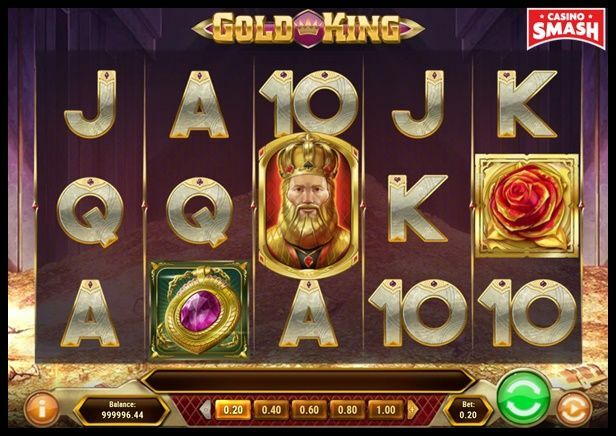 If you enjoy playing penny Slots, you’ll definitely like Gold King by Play’n GO. This game is inspired by the story of King Midas. 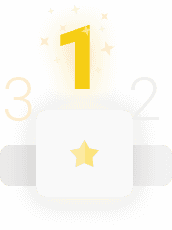 Anything he touches turns to gold, so maybe he will help you with your wins? As a penny Slot machine, Gold King is both fun and versatile. Its bets go from as low as €0.20 to as high as €100. Looking for a beautiful penny Slot? Then, play Double Tigers, a wonderful new game by Wazdan. 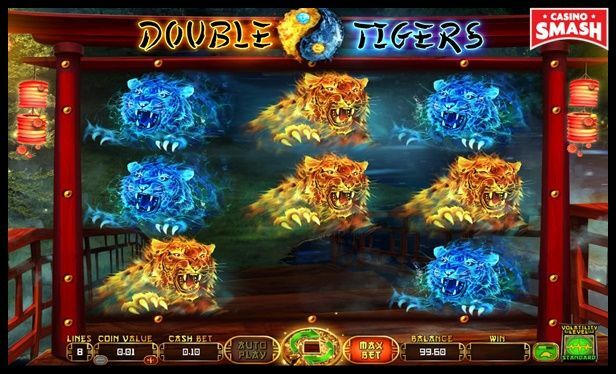 There’s one feature that sets this Slot machine apart from the others: the Double Tigers Slot has only two symbols. A blue tiger and an orange tiger. And that’s it. However, the high-quality visuals and exciting music make up for the lack of symbols. Here, the coin value starts at 0.01. As a result, the minimum bet of the game is as low as €0.10. There’s one more unique feature I need to tell you about. This penny Slot machine lets you choose the volatility level (low, standard, or high), which makes Double Tigers one of the most versatile games around. The Book of Dead Slot by Play’n GO is always a good choice. In short, it is a classic Slot machine with five reels and 10 paylines. However, don’t let the game’s simplicity fool you. Because it has some great bonuses you won’t find that often. I enjoy the Free Spins bonus the most. Collect at least three book symbols and you’ll get 10 free spins. These spins include expanding Wilds which can cover all the reels and result in some impressive wins. 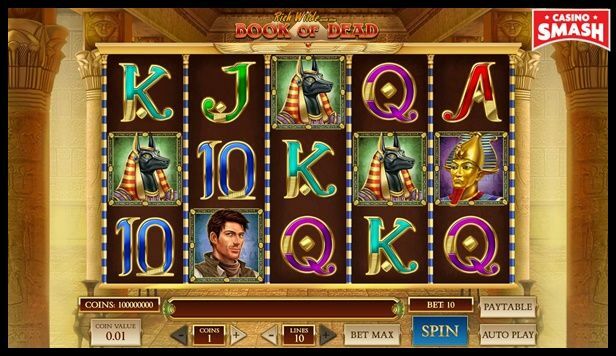 Whether you’re in a mood to play a simple penny Slot or an Egypt-themed game, the Book of Dead won’t ever let you down. Ladies and gentlemen - I've found the most impressive Slot machine of the year. Necromancer is the craziest game on this list of free penny Slots, and I’m going to tell you why. 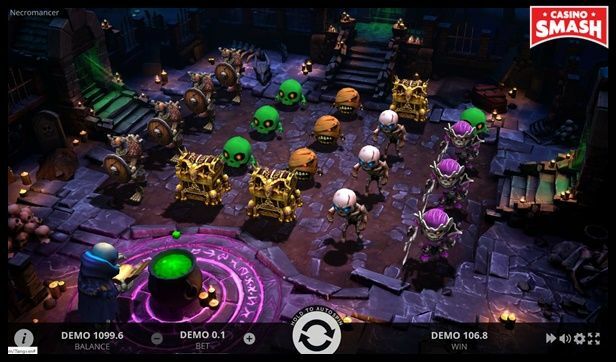 Launched only this year, Necromancer is the very first VR (Virtual Reality) Slot by EvoPlay. However, its graphics are fully adapted to be enjoyed on your PC without any VR headset. Speaking of which - I love the art style of Necromancer. You play as a terrifying skeleton who summons his warriors during every spin. The reels are full of terrifying monsters who will pay you up to 30 times your bet. 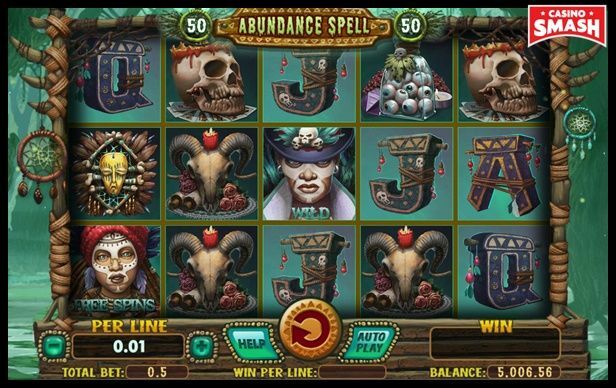 Like the majority of penny Slots online, Necromancer also features some nice bonuses like free spins and respins. 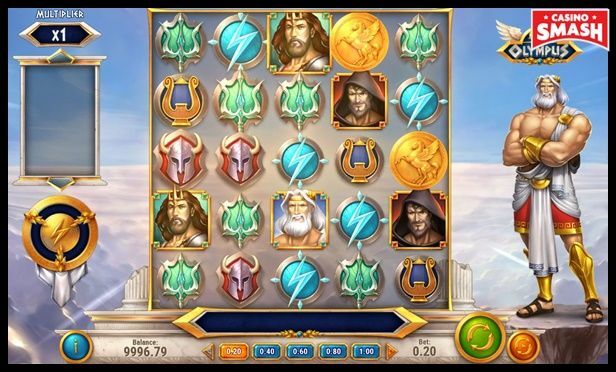 Discover Rise of Olympus, one of the most majestic online Slots games. Here, three Greek gods will help you on your way to Mount Olympus. 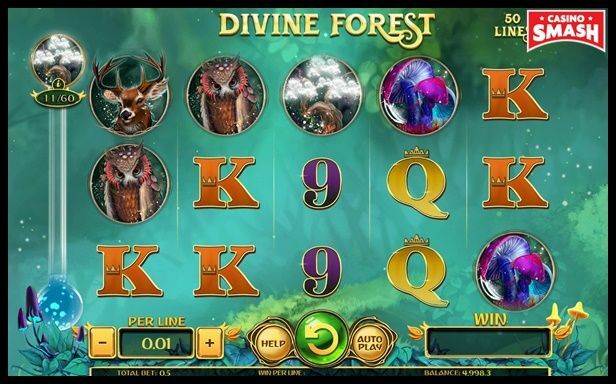 Divine Forest by Spinomenal is one of the prettiest penny Slots online. Set in a magical forest, the game features unicorns, deer, owls, and other animals. It also offers some nice bonuses to look forward to. Shifting Reels, Shifting Wilds, Extra Wilds, Multipliers, and a Bonus Game will keep you on the edge of your seat while you'll be enjoying the music and graphics. When you have Disco Bar 7s by Booming Games, you don’t need to go to Las Vegas. Because it looks like a classic Slot machine straight out from a land-based Casino. In comparison to all the other penny Slots on the list, this game is simplistic. However, I think that sometimes we all need to play something simple, yet brilliant. 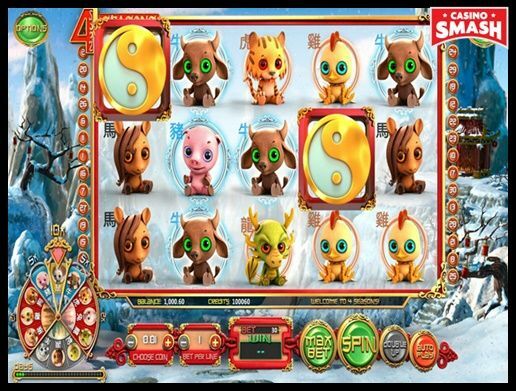 If you’re a fan of Asian-themed penny Slot machines, you’ll love 4 Seasons by BetSoft. It is one of the most creative free online Slots I’ve seen. Once you complete a round of 30 spins, the game rotates the calendar and another zodiac becomes the highest-paying symbol of x10 your bet. The bet per line goes from €0.01 to €2.00, which makes this game suitable for both low-rollers and high-rollers. Joker Pro by NetEnt is one of the most popular Casino games online. And not only because of its high RTP of 96.8 percent. The Slot is quite generous bonus-wise. It gives you a lot of respins, features Wild reels, and allows you to win up to 1,000 times your bet. Disclaimer: Gambling is a game of chance and there's no sure-fire formula that guarantee winnings. You can improve your winning chances by using the right in-game strategies but there is no way to predict when a machine or a Casino game is going to pay. Also, this page contains affiliate links. If you click through and play, we might earn a commission. 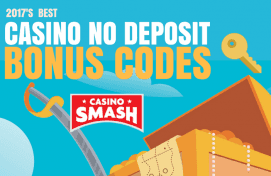 That’s what allow us to keep CasinoSmash free and bring you the best online Casino bonuses!